S800 I/O is a comprehensive, distributed and modular process I/O system that communicates with parent controllers and PLCs over industry-standard field buses. TB826 is a Long range Optical Media Converter for the ModuleBus. It is used to convert between plastic/opto fiber of HCS fiber with versatile link connectors and single mode field fiber with SC connector. 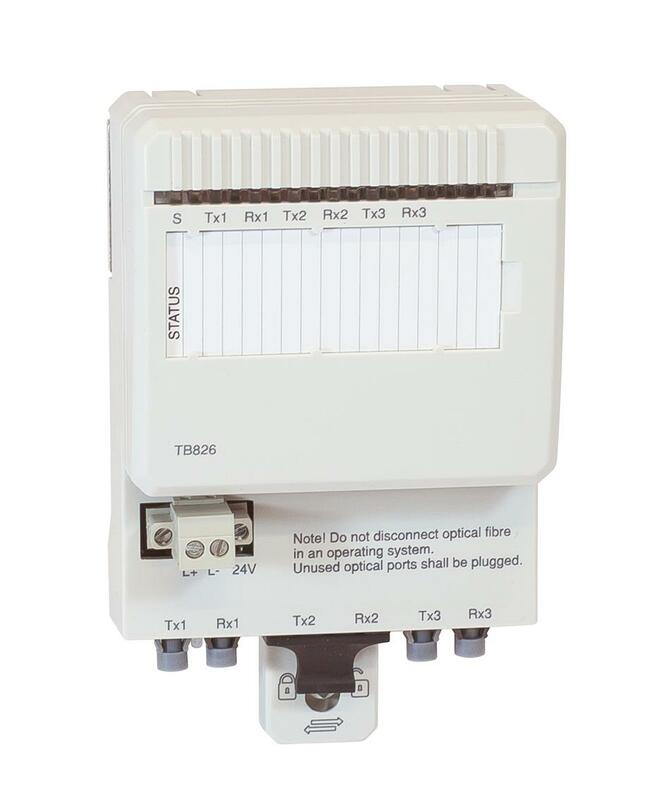 The TB826 is built in S800L mechanics and DIN rail mounted. TB826 allows distribution of the optical ModuleBus up to 5000 m per cluster in star configurations.